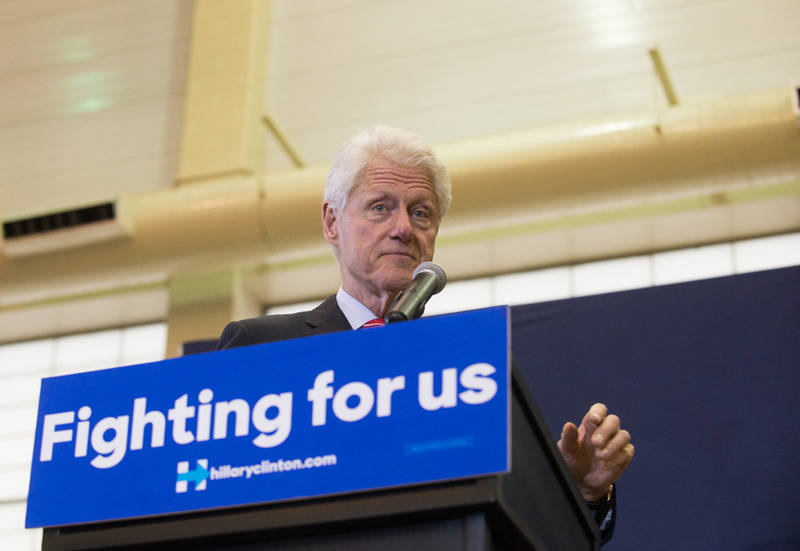 At the heart of Bill Clinton’s comments about the 1994 crime bill is the belief in a natural and permanent class of criminals. And with that, what is and isn’t illegal does vary from state to state, city to city. Consuming alcohol in public is illegal in some places, perfectly legal in others. Selling marijuana is illegal in most places, but, increasingly, legal in others. Does breaking a law in one state that isn’t illegal in another state make you a criminal? Additionally, if the threshold for becoming a criminal is breaking the law, are not most people criminals? If littering and driving over the speed limit were illegal, wouldn’t most American fit the description of a criminal for having broken these laws? Or does the “criminal” tag only apply to those offenses that we’ve deemed serious enough to warrant prison time? There are some behaviors that are more socially disruptive than others. Violence, sexual and otherwise, merits our attention as behavior we should seek to eradicate. However, if we buy into the idea of an existing and permanent criminal class, we end up devoting our resources to measures that don’t offer the hope of prevention. We still end up with a system of punishment and containment. One of my biggest problems with this view is that Abt removes the social, economic, and political contexts under which crime thrives. Again, it’s as if “high crime” and “criminals” simply exist somewhere in the wild. But crime, violence in particular, thrives under particular social circumstances. Poverty is the great predictor of where high-crime areas will be. We have also seen time and again that threats to men’s sense of masculinity and masculine pride drive violence. All of this is exacerbated by the abundance of and easy access to guns in America. Crime, according to Abt, may be an injustice, but it is also a byproduct of other forms of injustice. His solution—more, targeted policing—does not address those underlying factors. But that leads me to my other big problem. Abt says mass incarceration and police violence are injustices, but still proposes the police as a solution to problems of crime. He advocates ending one form of violence by increasing another form of (state-sanctioned) violence. Even if it works to drive down crime—although the evidence is inconclusive on how effective more policing is to that effect—the means of achieving that are through fear, violence, and the warehousing of human beings in cages. Not only is it unclear that this system is effective as a deterrent to crime, it reinforces the idea that there’s a permanent criminal class, disrespectful of the law and of community safety, and that in turn prevents us from investing in the social programs that would alleviate much of the inequality that produces crime in the first place. Could a police officer take on this duty? Maybe. But my question is, even if he or she did, why should that be a job for a police officer? Why should that be a job for an armed guard for the state? This should be a rallying call for more social workers, more public housing, a guaranteed income, and more investment in economic and social welfare. Instead, we turn to the police. We’re learning now, though, that depending on who constitutes the affected population, we can create solutions to social problems that do not involve police and prisons—as we’ve seen with the recent heroin epidemic, which is mostly affecting white people. In America, we respond to crime differently based on who we believe are the perpetrators and the victims. That’s another thing Abt, and Clinton, and most others weighing in to this conversation would like to pretend isn’t happening. If you are white and affluent, whether perpetrator or victim, you receive treatment. If you are black and/or poor, whether perpetrator or victim, you receive punishment. We can imagine a better way. It’s true that even if we were to completely eradicate poverty, abolish gender hierarchies, uproot white supremacy, and generally have a more robust socialist state, we would not completely eliminate violence. It has always been a part of human existence. What we can do, though, is ensure that the social conditions under which violence thrives and perpetuates itself are not as prevalent. And then, we can go about the business of adjudicating instances of violence that don’t involve more violence from the police or prisons, and actually focus on the needs of the victimized. To get there requires a willingness to put to rest the myths we have built into our politics. It will take us a while to let them go.